For two years now, Najade has been visiting farming sites around Europe, where technology is allowing people to grow and produce food in highly engineered ways. 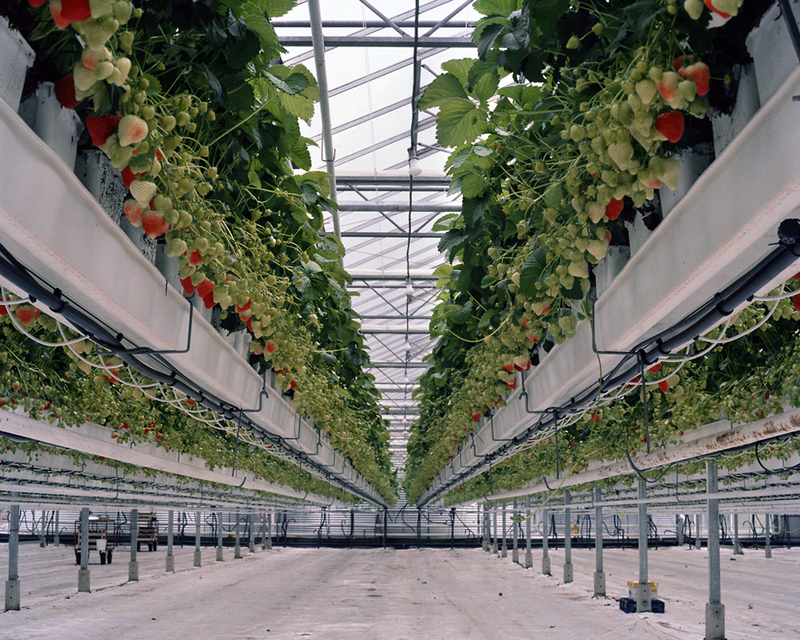 Greenhouse tomatoes in Germany can now stay warm in the cooler months with waste heat from nuclear power stations. There’s also a farm where cress, tomatoes, cucumbers and lettuce are grown with LED lights and in areas that have no direct air exchange from the outside. Many traditional farm operations at the sites are automated and self-sustaining. People have strong opinions about these developments, even when they’re only used here on Earth. Some cheer technologies that use recycled waste products or that cut down on how far a tomato has to travel to get to a supermarket in winter, in light of the fact that most food in America travels an average of 1,500 miles before it reaches your plate. Others might be disturbed to see natural cycles pushed aside in favor of convenience, especially when “one is not able to fully understand or foresee the consequences of these new trends,” says Najade. She doesn’t want to take a side. “I feel very torn about the topic,” she says. When it comes to her own eating habits she says she’s more aware of where things come from but she hasn’t renounced things like out-of-season fruit. “I still love strawberries,” she says. The Strawberries series is ongoing and Najade has also added a new chapter called Misfits that does take a clearer stand on food politics. In that project she photographs fruits and vegetables that didn’t make it into the supermarkets because of slight deformities. Royal Gala Apples, she says, need to have a “round shape characteristic of the variety,” and blemishes cannot exceed five percent of the fruit or they end up in the juicer instead of on the shelves. Campari tomatoes cannot have superficial defects that exceed 2 mm or they end up in the trash.